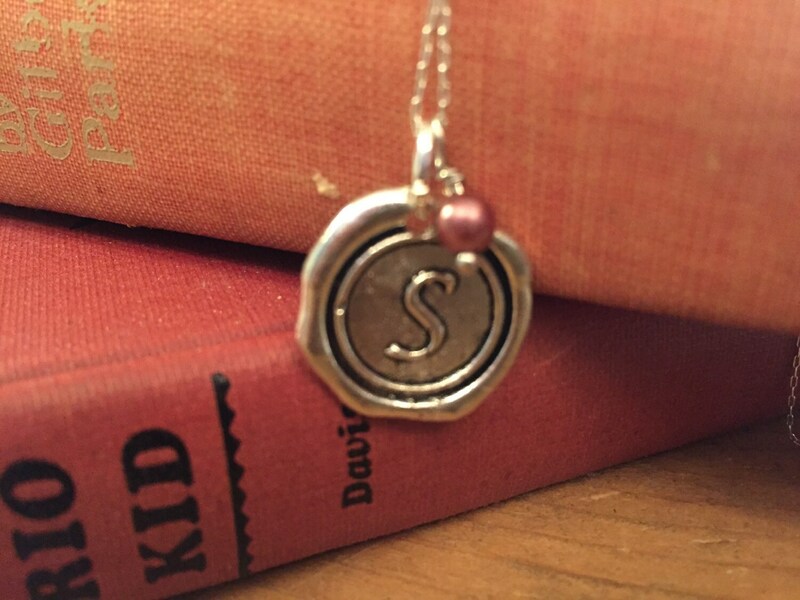 This necklace has beautiful letter silver S wax seal charm accompanied with a beautiful bead on a 18 inch silver chain. This necklace features an antiqued silver round charm which has been modeled after the wax seals that were once used to close letters. An initial of your choosing is in the middle of the pendant. With the metal being antiqued silver, crevices and edges are darkened, allowing for contrast in the charm. The charm is suspended from a delicate sterling silver chain. All findings are sterling silver. If you would like to order 4 or more we offer a discount, so please message me before ordering, so we can work out the details.